Reclaimed Woods — Allegory Handcrafted Goods Co. Prior to the onset of modern industry and logistics, loggers practiced log driving - where floating logs down-river to a temporary sawmill was the first step in the process of creating lumber. 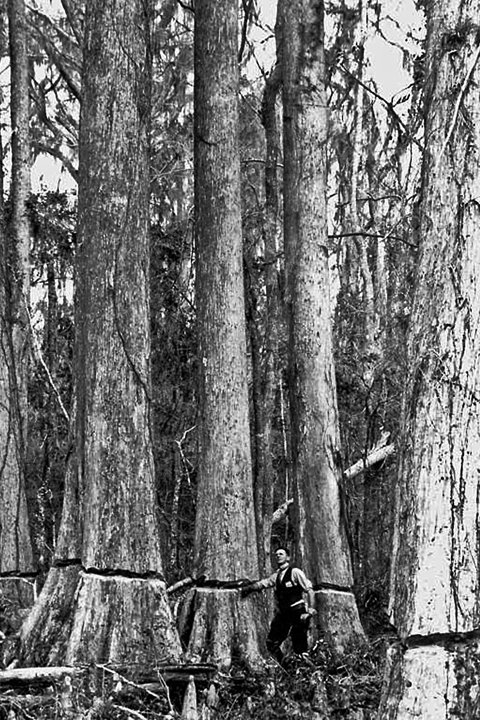 The term "lumberjack" comes from this process. Occasionally logs would sink and become trapped in the silt at the bottom of the river. If enough silt was laid down before rot and erosion set in, the log would be preserved. 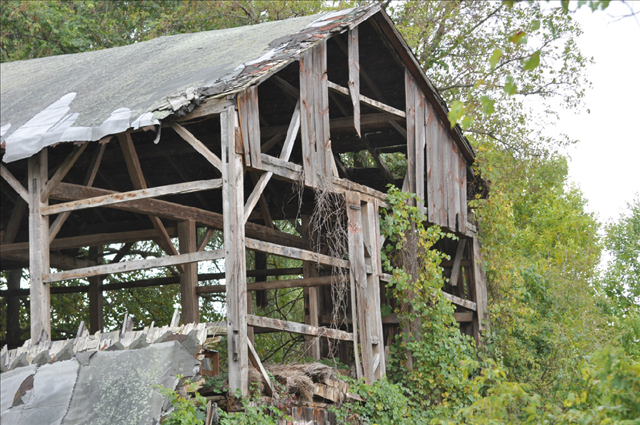 Today these century-old remnants of pre-industrial America are recovered from the bottom of river beds, and they are some of the most sought-after reclaimed lumber on the market. Check out our pens made with sinker cypress. Prior to the onset and broad adoption of refrigeration technology, food preservation was a much more complex task. Pickling was a primary method of food preservation and a lifeline for many homes. 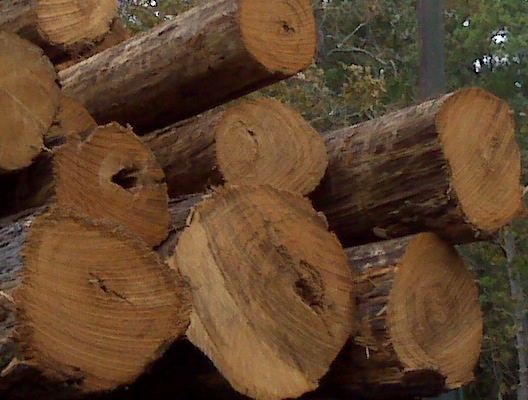 Large amounts of lumber were required to construct pickling vats. 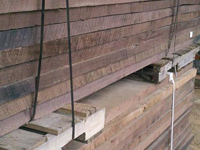 Today these vats are no longer necessary in such quantity, and they provide an excellent source of reclaimed lumber. 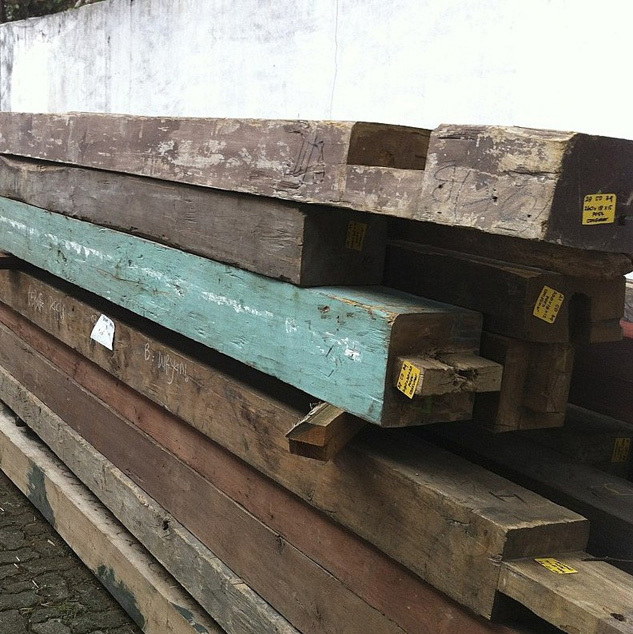 The compounds used in the pickling process add beautiful character to the wood. 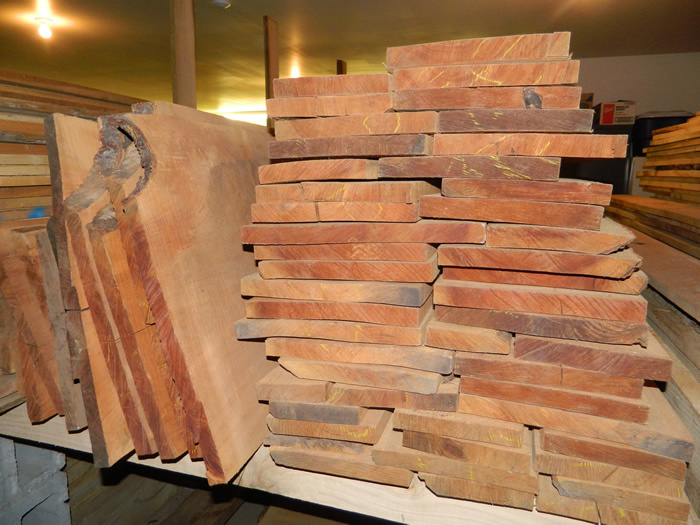 We use picklewood douglas fir which has a yellow-blond tone and strong, straight grain and picklewood redwood which has a beautiful deep red/brown tone. Check out our pens made with picklewood. Check out our pens made with rescued wild black cherry. Check out our pens made with old growth salvaged Indonesian teak. Check out our pens made with reclaimed walnut barnwood. 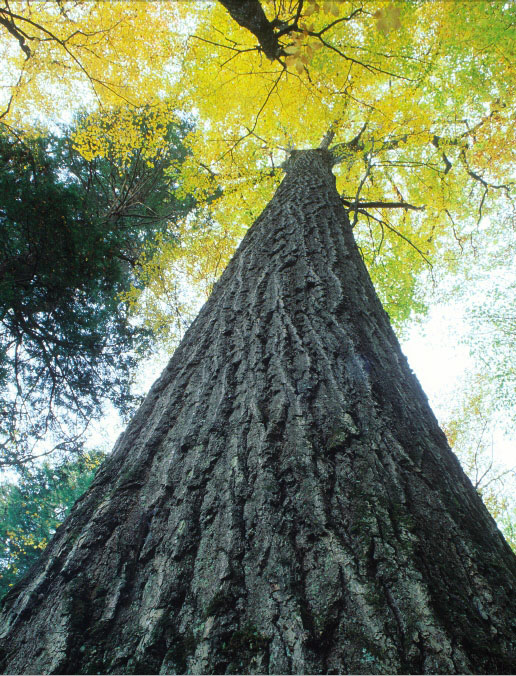 The red oak is one of the largest and most important timber trees in North America. 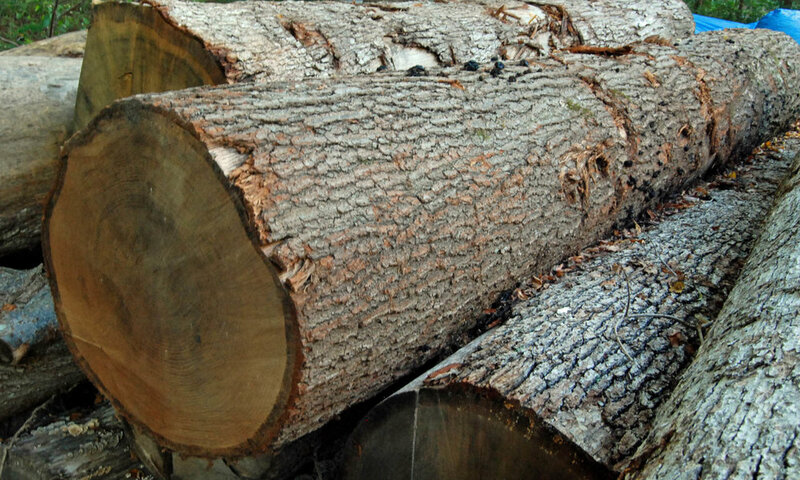 One of the fastest growing of the oaks, it attains a height of up to 80 feet and a diameter of two to three feet. 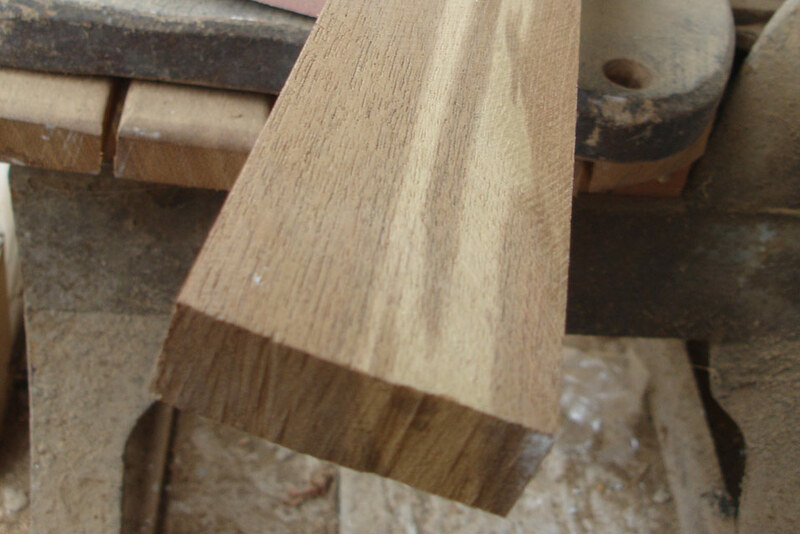 The heartwood is a light to medium brown, commonly with a reddish cast. The grain is straight, with a coarse, uneven texture. The pores are so large and open that it is said that a person can blow into one end of the wood, and air will come out the other end: provided that the grain runs straight enough. 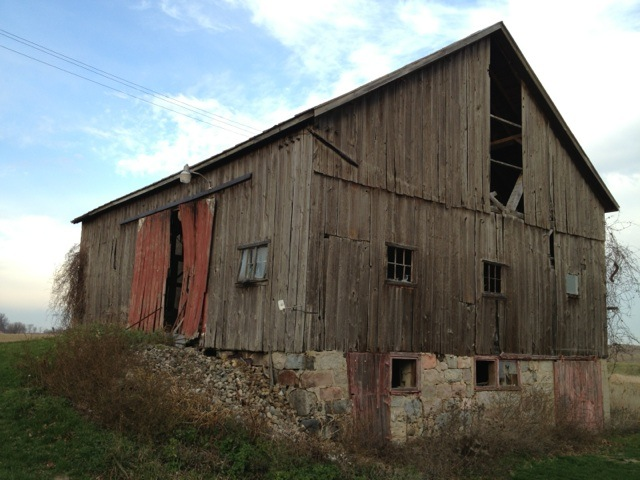 We salvage our red oak from farm auctions throughout Northern Illinois. Check out our pens made with Midwest farmland red oak. Check out our pens made with rescued white ash.